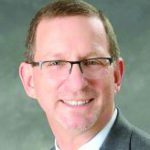 The Wesley Community announced that Jeff Cohn has been appointed chief information officer at the senior living campus in Saratoga Springs. Cohn will be responsible for supporting and facilitating the needs and strategic growth of The Wesley Community’s technology and business functions. This includes the enhancement of Wesley’s information technology plan; maintenance and operation of information security; operating various business applications; and developing technology solutions throughout the campus. Cohn has nearly 40 years of experience working in the information technology field and was one of the first certified netware engineers in New York state. He is the co-founder of SAGE Computer Associates. Cohn served as the principal for ADNET’s Albany location for the past three years. He is a graduate of SUNY Oneonta, where he received a degree in geography and double minored in computer graphics and business. The Patient Experience Project (PEP) announced the addition of Kristen Scannell as a patient experience coordinator and Elizabeth Stauffer as director of strategic planning. Scannell has more than five years of educational experience as a school counselor at a number of school districts. In her new role, she will coordinate and support the successful execution of the agency’s patient relationship management activities, including PEP’s patient mentor, speaking, and adviser programs. Scannell received a bachelor’s degree in psychology from Sacred Heart University in Fairfield, Conn., and a master’s degree in education and school counseling from the College of Saint Rose in Albany. She oversees the development of marketing, brand, and communications strategies for PEP’s biopharmaceutical clients. Stauffer brings 18 years of marketing, strategy, and launch experience to PEP. She has focused her career on various stages of the product development process, from clinical trial development through product launch and maintenance. She has worked across several disease states, including neurology, infectious disease, cardiology, gastroenterology, pulmonology, and orphan diseases. Before joining PEP, Stauffer spent several years at AbbVie in product management, focused on launch, marketing, and sales force strategy. She was also a strategy consultant for Accenture, specializing in pharmaceutical and biotech new product launch and acceleration. Her career has also included time working in the nonprofit sector, focused on physician satisfaction initiatives and new product development at the American Medical Association. Stauffer received a bachelor’s degree from Northwestern University and an MBA from the Wharton School of the University of Pennsylvania. STEADfast IT has hired Michael Taber as director of business development and Jake Revers as business development executive. Taber brings more than 20 years of experience in sales with a focus on business to business. He holds an A.A.S. degree in hotel and restaurant management from Paul Smith’s College. Revers as experience in sales, business development and customer retention, event technology, IT and the hospitality industries. He holds a bachelor of science degree from St. John Fisher College. Clifton Park & Halfmoon Emergency Corps. announced that Gina Wierzbowski was promoted to the job of community outreach coordinator with its community development team. 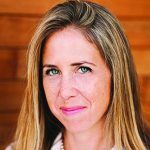 In her new role, she will manages the agency’s American Heart Association Training Center and its roster of CPR training and certification programs. Additionally, she coordinates the resources and logistics for CPHM’s many outreach events. 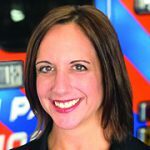 Wierzbowski has been a paramedic with CPHM for over five years. She was also previously the district manager for Assemblywoman Mary Beth Walsh. Gina currently serves as the deputy supervisor on the Glenville Town Board. Colden Co. Inc., an IT Services provider with offices in Ballston Spa, announced the hiring of John Basile as a technical specialist. Basile comes to Colden Co. with 12 years of experience working in IT as various positions, including 10 years with the U.S. Navy. Basile brings a technical background, a Bachelor of Science degree in computer science and experience in customer service to the Colden team. Dr. Jansi Gnanasekaran has joined Saratoga Hospital Medical Group – Endocrinology and Diabetes at Park Place at Wilton on Route 9. Dr. Gnanasekaran comes to Saratoga Hospital from Baystate Medical Center in Western Massachusetts, where she recently completed a fellowship in endocrinology, diabetes and metabolism. 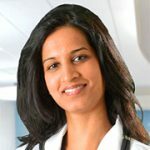 She earned a medical degree from St. George’s University School of Medicine and completed a residency at Stamford Hospital in Connecticut. She is board certified in internal medicine. Sarah I. Wood, Esq., was named a senior litigation associate at Donnellan & Knussman PLLC in Ballston Spa. She handles matrimonial and Family Court actions as well as real estate closings and estate matters.She is also trained as a collaborative divorce attorney. Wood is a 2008 graduate of Albany Law School and a 2002 graduate of Lehigh University. She was admitted to practice in both the New York and U.S. District Court Northern District of New York bars in 2009. She has appeared in local and state courts. She has handled family and matrimonial matters, personal injury matters, civil litigation matters, as well as criminal cases. Wood has also engaged in appellate work and has successfully argued before the New York State Court of Appeals. Super Lawyers has recognized Wood as a Rising Star from 2013 through present. 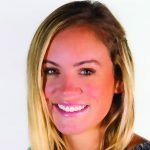 Wood ] is the Saratoga County Young Republican chairwoman, the town of Ballston Republican Committee treasurer and has assisted with various political campaigns in Saratoga County. Wood is a member of the Collaborative Divorce Association for the Capital District and has sat on the board as a membership director (2013-2015) and as the director of marketing (2016-2018). She is also a graduate of the Saratoga County Chamber of Commerce Leadership Program, class of 2013. Kevin Bardon, maintenance engineer at the Holiday Inn Saratoga Springs, was honored by the New York State Hospitality and Tourism Association at the Stars of the Industry Gala as Lodging Employee of the Year. The gala was held at Turning Stone Resort Casio in Verona. The event recognizes individuals from the hotel and tourism industry for their determination and hard work. Bardon was recognized as a dedicated employee who has gone above and beyond to provide exceptional service at the hotel for the past 33 years.